Presence at the pumps would suggest that this trike is gas-powered, not electric. At one time, it was safe to assume that any motorized trike in Cuba – flatbed, van, tuk tuk-style taxi – was an Ape (pronounced ah-pay, hand gestures optional) from well-known Italian manufacturer Piaggio. Even the homegrown coco taxis in Havana and Varadero ride on Ape underpinnings. 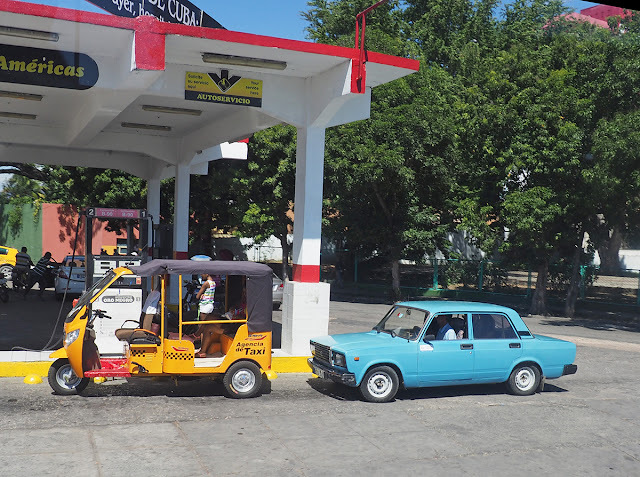 Now, three-wheelers from China have joined the Chinese buses and cars already common on Cuban roads. The Gladway above is a product of the Shandong Mulan plant in Jinan, south of Beijing. Parent company Gladway Holdings Ltd. specializes in electric vehicles, but also offers gas-powered models. 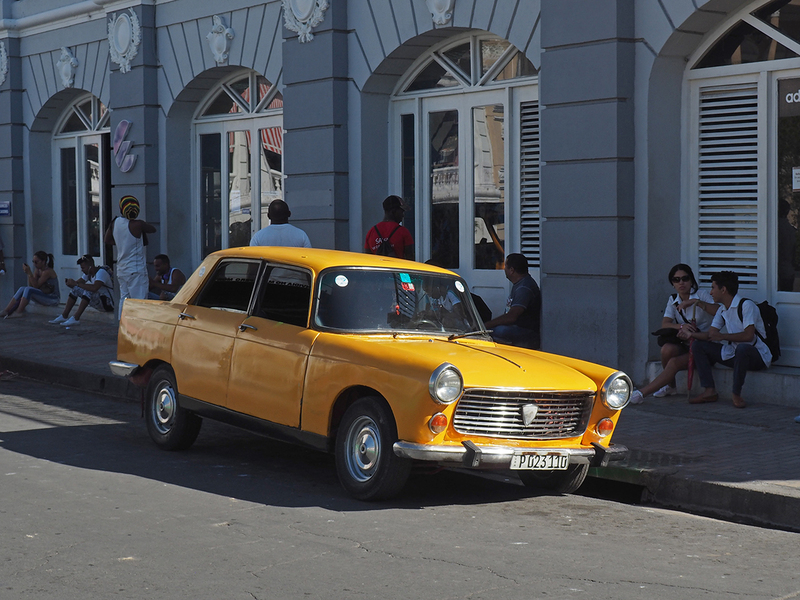 Nearly 2.9 million Peugeot 404s were produced over three decades. An attempt at budget luxury? No, just Cubans using what's on hand. To Western visitors who remember Ladas as cheap in price and uncertain in quality, these lengthened Ladas can seem like a ironic statement. Not the case. 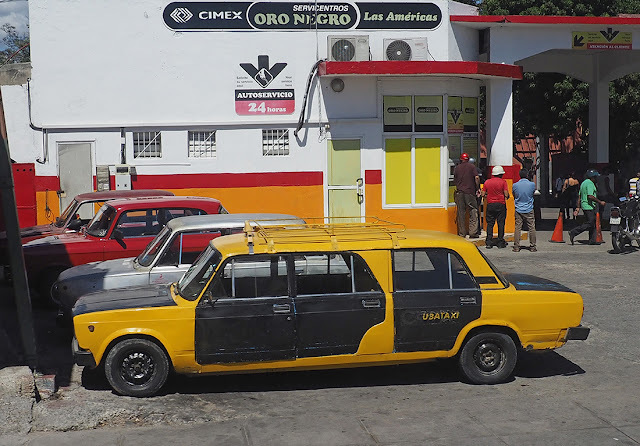 Cuba needs multi-passenger transportation, Cuba has many Soviet-made Ladas, not all operable – voilà! But if you want to think of them as a socialist barb aimed at the Cadillac, Lincoln and Mercedes stretch limos of the capitalist world, that's fine.